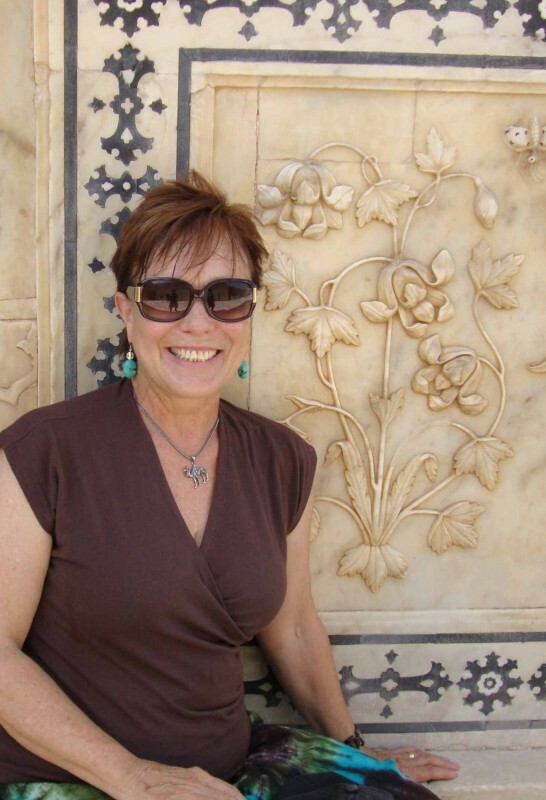 Our popular Textiles of India tour is back! 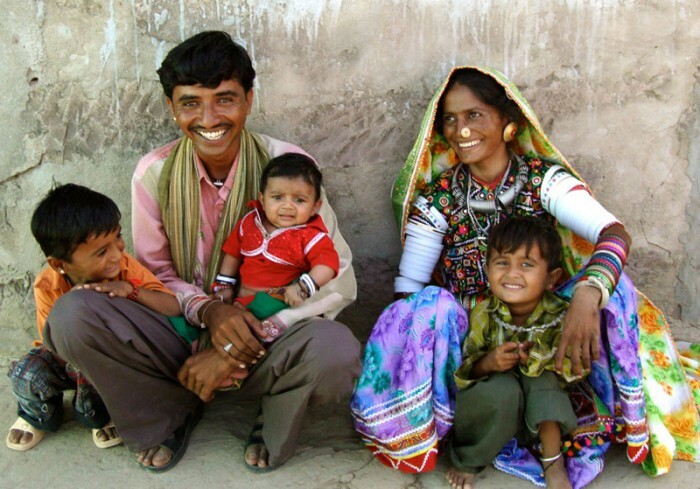 A Rajasthani family. Women in this area are expert embroidery artists. Come with us on the exciting Textiles of India trip, to the fabulous textile-producing states of Gujarat and Rajasthan, then finally relax in tropical Kerala! 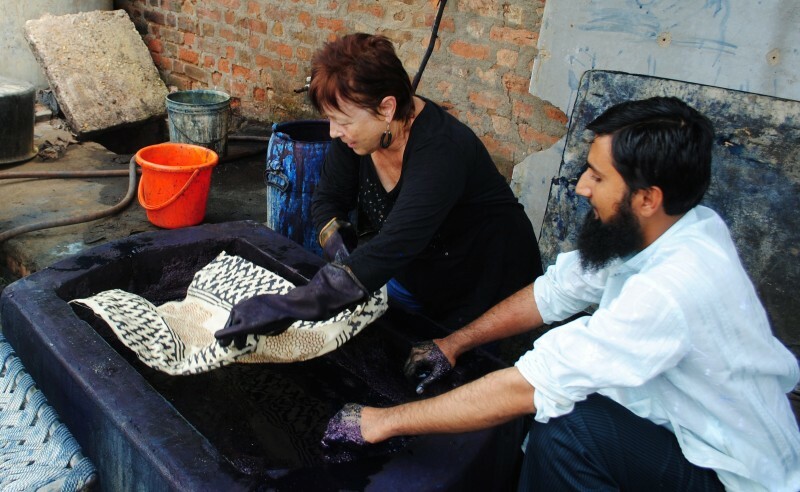 • Print or dye your own fabric in three private textile workshops. • Go on a desert Jeep safari to see elegant wild asses of Kutch. • Travel with expert textile guide in Gujarat and Rajasthan. • Visit our friends among the artists and craftsmen of the north. • Meet Rabari women and learn their unusual embroidery stitches. • Finally, head to Cochin and relax on a wooden houseboat in tropical lagoons. This is a trip for creating, learning and observing the textiles of India as well as meeting the welcoming and wonderful Indian people. To start out, we’ll visit several museums to see historical textiles including the world-famous Calico (textile) Museum with its exceptional cloth and clothing collections. 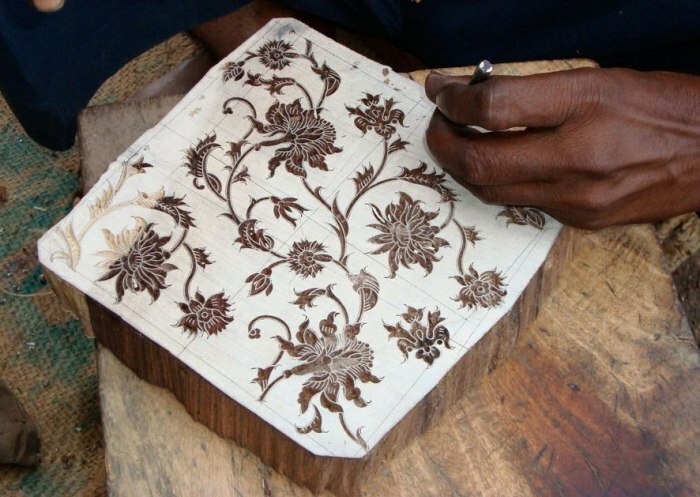 As we visit textile artists, we’ll learn the detailed techniques of the dyeing and printing processes, beginning with a visit to the place where slabs of wood are carved into intricate designs for the printing blocks. At the block-print studio, we will be welcomed to watch the artists stamping designs onto the cotton fabric to get the hang of it, before we start our own projects. After we have mastered block-printing, we’ll meet a Master dyer and he will show us how to make silk Bandhini-style dyed scarves. 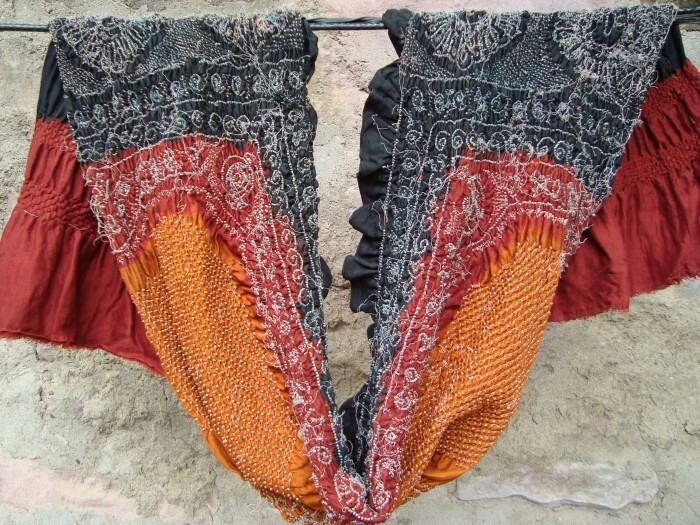 The Bandhini technique involves tying off or stitching the areas to be resisted from the dye, and results in exquisite scarves that you will be proud to wear at home. There may be an opportunity to purchase some of the Master artist’s beautiful work also, below. Silk tie-dyed bandhini scarf before white threads were pulled out. One afternoon, local women who are experts in intricate shisha mirror embroidery, one of the best-known textiles of India, will show us their secrets in our embroidery workshop. After shopping in the local market full of textiles, we’ll head north to meet the famous double-ikat weavers of Patan. They have organized an amazing private museum of the ikat technique with examples from all over the world. Seeing their own complex silk warp dyeing techniques and finished masterpieces is totally fascinating. During the trip, we’ll travel by private van and plane, and stay in fascinating Heritage hotels in towns, [even a Majarajah’s palace!]. A couple of nights we’ll sleep out in the country in new, traditional bunghas in the little-visited northern Gujarati area of Kutch. The round earthen bunghas with thatched roofs are embellished with floral scrolls of bas-relief mirror. Hand-formed mud decorations around the windows and doors add a charming touch. 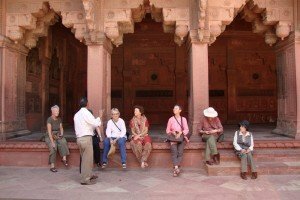 We will visit many ancient temples and other architecturally fascinating sites such as the famous Adalaj and Rani Ki Vav stepwells. These ancient and elaborate fresh water wells were built between the 11th and 16th centuries, with carved marble columns and decorated niches. Cynthia with flower panel at Amber Palace in Jaipur. In Jaipur we’ll meet the director and the girls at a workshop and home established to help girls stay in school and learn skills. Experience in sewing and craft projects that they learn to make and market will eventually help the girls to make a living on their own. If you’d like to bring them some sewing or school supplies, they would be thrilled! They need good quality scissors like Fiskar snips, trims, cloth scraps, and so forth. And they can always use pens, art materials, pencils and notebooks. Later, in Jaipur, we will also visit the excellent Anokhi Printing Museum for a great introduction into our next workshops of wooden blockprinting! In a nearby village, we’ll visit an expert block print artist for a complete introduction into block-printed or stamped fabric. At his studio, you can print 2 yards of light cotton cloth suitable for clothing or a tablecloth, or a cotton scarf. Then when we have made some wonderful projects in our workshops, and have seen all the art and architecture that we can possibly absorb, we will fly south to the state of Kerala. We land in pretty coastal town of Cochin, and see the Chinese fishing nets at the beach, India’s oldest synagogue, and Mattancherry Palace. The palace was a generous gift presented to the Raja of Kochi, Veera Kerala Varma (1537–61), as a gesture of goodwill by the Portuguese in 1555. There is also an excellent privately-owned folk art museum that we will visit, and we’ll see traditional Kathakali dances. Cynthia dips her mud-resist stamped piece in the indigo dyebath. 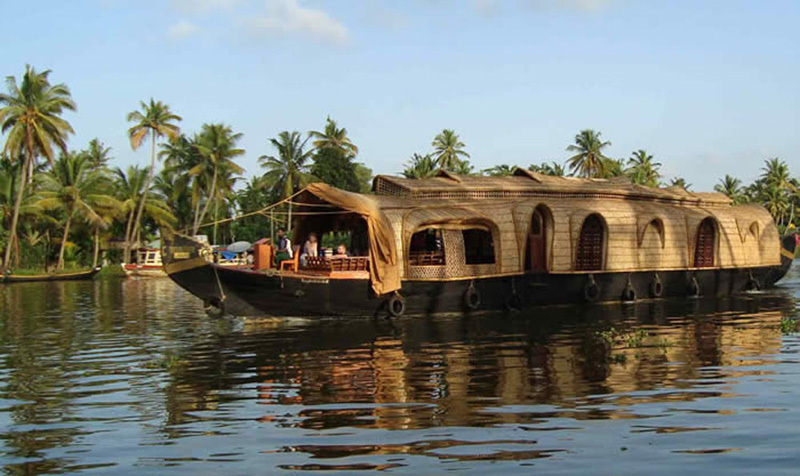 Finally we’ll head to the gorgeous backwater lagoons and spend twenty-four hours floating on luxurious, private wood and wicker houseboats with our own chefs! 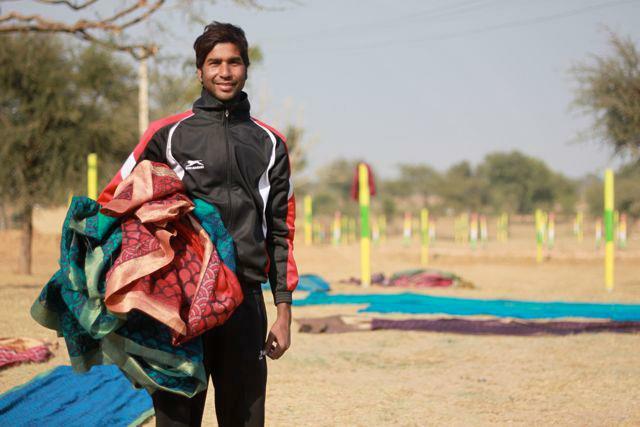 Deepak gathers up new block print cloth at his Gujarat workshop. We will float by trees full of weaver bird nests, as we enjoy the peaceful ambiance. Bring a ‘real’ book or a book on your iPad or Kindle, your knitting, or your yoga moves! Thoroughly relaxed from our houseboat cruise, at the end of our great tour, we return to our modern hotel on the water, for the Farewell Dinner. Next day, we fly home from Mumbai on September 18th. Plan your flights to depart BOM anytime after 9:30 pm. TRIP PRICE: $4960 (Single Supplement: $875) Maximum 12 travelers. 17 nights accommodation (double rooms with private bath) in charming heritage hotels, modern hotels in cities, and clean local hotels in remote areas. On the houseboat, the comfortable, A/C cabins are double share (singles subject to availability). The itinerary for the Textiles of India tour has been carefully planned to cover a lot of ground, but also not to move around every night. We spend 2 or 3 nights in each destination; for example, 3 nights in both Jaipur and Bhuj. 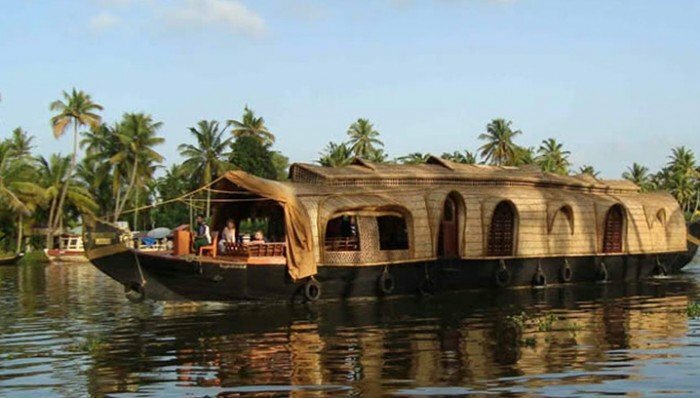 We’ll cruise tropical lagoons of Kerala in a lovely wooden houseboat! Finally, there will be a pre-tour of the Taj Mahal and SOS Bear Rescue Center in Agra for those interested, at a modest extra cost. Info to come after you’ve signed up. All meals and tea breaks, water/tea/coffee and soft drinks with meals. Local transportation in good vans with professional, good-natured drivers. Three interior flights to see as much as possible. Bottled water on road trips and on houseboat. All village visits and museum entrances as on itinerary. All temple and cultural site visits as on itinerary. Airport arrival and departure transport (on group arrival and departure days). Professional English-speaking guides, with expert on textiles in India joining us for the Gujarat region. Plus a custom travelogue photo book sent to you after the trip. Breakfast and Lunch only are included on September 18, departure day. Not included: International airfare, visa for India, required travel insurance (recommend Travel Guard); alcoholic beverages, tips for guide and driver, laundry, between-meal snacks and water (although we will have bottled water in the van for all the day trips); internet charges if any, and camera/video fees if required. You will need a visa for India; information will be forthcoming for online application. Tipping Guidelines will be sent with trip information. 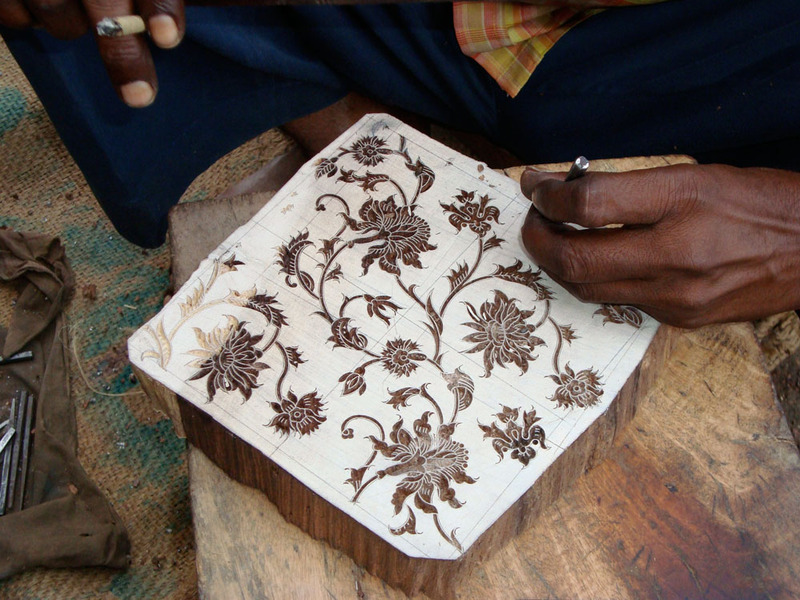 Hand-carving a woodblock to print Indian fabrics. 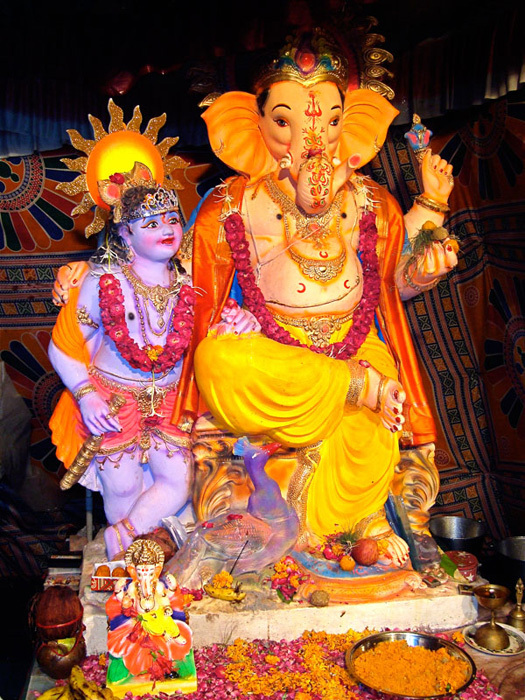 Fancy Ganesh, God of Prosperity statue at a temple in Gujarat.